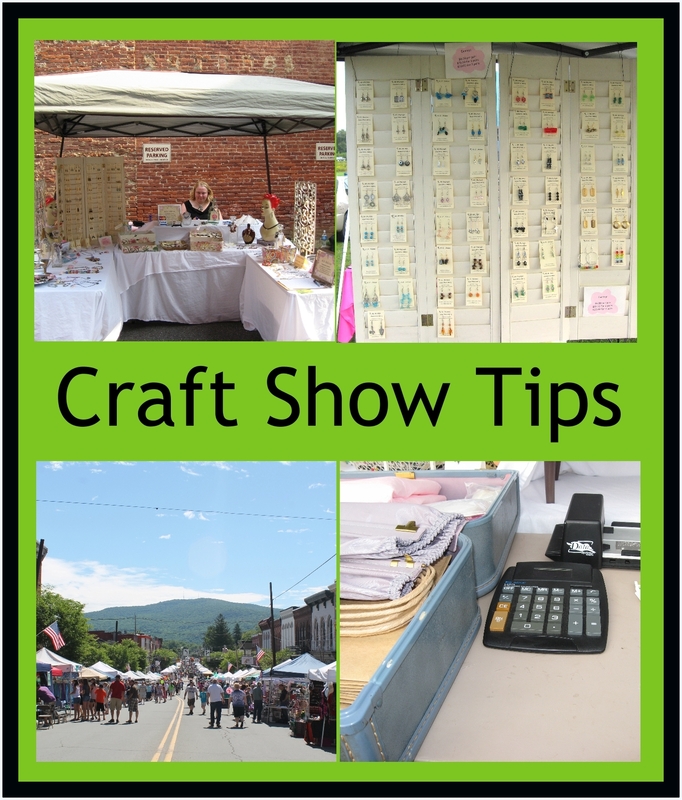 This week’s Craft Show Tip is more about overall handmade business basics. I talk about handcrafted jewelry business, but you can translate that into whatever it is you sell. I know that a lot of people do craft shows solely for the money they make at the show itself, but you can make great connections and interesting opportunities from them as well. I really credit craft shows with the success of my handcrafted jewelry business because it’s at craft shows where I met shop owners, gallery owners and lifelong customers who still order custom jewelry years later. I originally wrote about selling handcrafted jewelry here. This is a about 30 minute audio version of that post and is perfect for you to download and listen to while you’re crafting or cleaning. You’ll probably want to jot down some ideas as well! Do you have some good ideas? Jot them down, make a list and start checking that list off! #1 on your list should be craft shows. And to get started with them, make sure to pick up a copy of my eBook Craft Show Tips! This entry was posted in Business, Craft Show Tips and tagged craft show tips, finding other opportunities with craft shows by Kimberlie. Bookmark the permalink.